The widow of solicitor Pat Finucane is to take her legal fight for a public inquiry into his murder to the UK’s supreme court. Senior judges in Belfast today refused Geraldine Finucane leave to appeal their decision that the British government was entitled to deny her such a tribunal. But it now clears the way for the family to petition directly for a hearing in London. Mrs Finucane’s legal representatives later confirmed their intention to continue their challenge to judicial findings that former prime minister David Cameron had acted lawfully. They are expected to argue that the case raises legal points of general public importance. Mr Finucane, 39, was shot dead by loyalist paramilitaries in front of his wife and three children at their north Belfast home in February 1989. His family has campaigned for a full examination of alleged security force collusion with the killers. In 2011 Mr Cameron decided against ordering a public inquiry, and instead commissioned QC Sir Desmond de Silva to review all documents relating to the case and produce a narrative of what happened. He also linked the military’s Force Research Unit because one of its agents was involved in selecting targets. However, the report concluded there had been no overarching state conspiracy. The Finucane family rejected the findings as a whitewash and accused the government of unlawfully reneging on previous commitments. In 2015 a judge backed the government’s case that shifting public interest issues were enough to override Mrs Finucane’s expectation. Appealing that verdict, her lawyers argued that a full public inquiry was necessary to examine an alleged abuse of power for which no-one in authority has been brought to account. They argued that the murdered solicitor was the victim of an army-run death squad normally associated with Latin American dictatorships. Counsel for Mrs Finucane claimed her husband’s killing was due to covert, state-sponsored terrorism and represents a “horror story” for the British Government. Only Ken Barrett, the loyalist gunman and “UDA puppet” convicted of the killing, has been held responsible, it was contended. 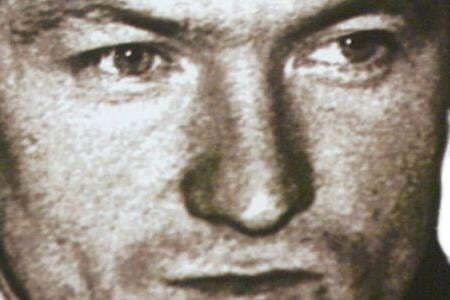 But last month the Court of Appeal rejected the Finucane family’s case, including allegations that the government staged an elaborate sham process before announcing its predetermined decision. Judges agreed that the murdered solicitor’s widow had received a clear and unambiguous promise that any recommended inquiry would be held. However, they concluded that other issues, including political developments in Northern Ireland and the potential cost of a lengthy process, were enough to frustrate her legitimate expectation. Mrs Finucane’s legal team returned to the court today to apply for leave to appeal the decision to the Supreme Court. They again raised points about her legitimate expectation and rights under European law. Despite those submissions, Lord Justice Gillen ruled there was no conflicting legal issues that warranted giving permission. Later, Mrs Finucane’s solicitor, Peter Madden, confirmed plans to lodge an application in London next week.